The University Grants Commission will entertain applications for admission to universities from candidates who have satisfied the minimum requirements for university admission at the G.C.E. (Advanced Level) Examination held in August 2013. The Commissioner General of Examinations has already informed the candidates whether they have satisfied the minimum requirements for university admission. Note 1 : However, the students who sat for the G.C.E (A/L) Examination 2013 as their 4th attempt will be considered for university admission for the Academic Year 2013/2014 only if their third attempt was either in year 2011 or 2012 as explained in the decision No 13/0205/521/008 dated 01.03.2013 of the Cabinet of Ministers, pursuant to the recommendation made by the Supreme Court to allow the students affected due to Z-Score issue in 2011 A/L Examination, to sit the G.C.E. (A/L) Examination as a 4th attempt. Note 2 : Candidates who are pronounced ineligible by the Commissioner General of Examinations due to not .satisfying (b) above are also allowed to apply for university admission only if they have already satisfied at previous attempt / attempts or would satisfy at any future attempt the said requirement within the three attempts allowed to sit the G.C.E. (A/L) Examination for the purpose of university admission. Note 3 : Students who got themselves registered as full time students to follow a course of study of 3 year duration or above, leading to a Higher National Diploma (HND) at an Institute which comes under the Sri Ianka Institute of Advanced ‘technological Education (SLIATE) or National Diploma in Engineering Sciences (NDES) at the Technical Training Institute (TTI) of the National Apprentice and Industrial Training Authority (NAITA) based on the results of the G.C.E. (A/L) Examination held in 2012 or prior to 2012 art: also eligible to apply for university admission based on the results of the G.C.E. (A/L) Examination 2013, provided they have withdrawn their registration within a period of 60 days from the last date for registration. Such applicants should send along with the application, a copy of the letter issued by the Institution concerned regarding the cancellation of registration. The 60 day concession stated herein is not given to candidates who have been selected to fill a vacancy to the above mentioned Institutions. Every application for admission should be made in the prescribed form issued with the Handbook on university admission, which is obtainable from the University Grants Commission Secretariat, No. 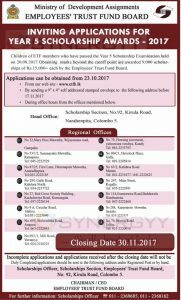 20, Ward Placc, Colombo 07 or from the Distributing Agents appointed by the University Grants Commission (UGC) on payment of cash, from 23rd April 2014. 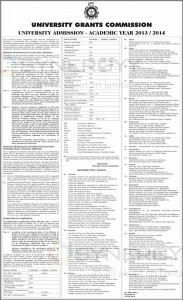 Prospective candidates are hereby informed that a ‘Computer Data Sheet* and a large envelope (30 cm X 25 cm) would be issued along with the Admissions Handbook titled, “Admission to Undergraduate Courses of the Universities in Sri Lanka – Academic Year 2013/2014” which will contain the application for university admission. Candidates have to ensure that they have received all those documents when the Handbook is purchased. (I) The list of Distributing Agents appointed by the UGC is appended below. Application forms could be obtained from them by making a cash payment of Rs. 500/ – in respect of each application form. (ii) Application forms could also be obtained by post. When application forms arc obtained by post, the applicants should make a deposit of Rs. 500/- in respect of each application form at any Branch of the Bank of Ceylon or People’s Bank to the credit of the UGC Collection Account No. 0002323287 at Torrington Branch of the Bank of Ceylon or Collection Account No. 167-1-001-4-3169407 at Town Hall Branch of the People’s Bank by filling in the paying-in-voucher provided by the Bank. The counterfoil of the paying-in-voucher duly authenticated by the Bank Seal and the signature of an authorized officer on such counterfoil should be sent along with the request for application forms. Every request for an application form by post should be made to the Additional Secretary (Academic Affairs fir University Admissions), University Grants Commission, No. 20, Ward Place, Colombo 07 by a letter, giving name of the applicant and the medium in which the applicant wishes to have the Handbook on admission procedure. In addition, a self addressed un-stamped envelope of not less than 35 c.m. X 24 c.m. in size should be forwarded. The closing date of applications will be 19th May 2014. Completed application forms could be handed over or sent by registered post addressed to the Additional Secretary (Academic Affairs fir University Admissions), University Grants Commission, No. 20, Ward Place, Colombo 07. No applications will be entertained after 19th May 2014. Note 4 : According to the recruitment policy of the Ministry of Health, in order to be eligible for the course of study in Nursing, the candidates should be a minimum of 4’10″ in height and should be physically fit enough to discharge duties attached to the post of Nurse. Candidates who wish to apply for Nursing should duly fill the Section 8 of the application indicating true and accurate information of height fir physical condition. However, according to the recruitment policy of the Ministry of Health only 5% out of the total number of recruitments will be for male nurses. In addition, candidates who wish to be considered for admission to the under mentioned courses of study should apply to the respective University to sit the Aptitude Test, to be conducted by the respective Universities. The relevant University will publish a press notice calling for applications to sit the Aptitude Test and the candidate may contact the Registrar of the respective University / Senior Assistant Registrar of the respective Institute for further details. * The University of the Visual fir Performing Arts will conduct the subject oriented practical tests for Music, Dance, Drama fir Theatre and Visual Arts. S.Godage fir Brothers, 675, Maradana Road, Colombo 10. Sadeepa Book Shop, 1060, Maradana Road, Borella, Colombo 08. Vijitha Yapa Book Shop, 130, S.Dc.S. Jayasinghc Mw. Kohuwala Nugegoda. Vijitha Yapa Book Shop, Unity Plaza, 02, Galle Road, Colombo 04. Vijitha Yapa Book Shop, 32, Thurstan Road,Colombo 03. Vijitha Yapa Book Shop, G 6 A, Crescat Boulevard, Colombo 03. Sarasavi Book Shop (Pvt. )Ltd., 30, Stanley Tillakaratne Mawatha, Nugegoda. Sasiri (Pvt.) Ltd., 14, High Level Road, Maharagama. Sarasavi Marketing Enterprises, UG 19, People’s Park, Gunasinghepura, Colombo 11. Poobalasingham Book Depot, 340, Sea Street, Colombo 11. Thusitha Book Shop (Pvt.) Ltd., 433 Q, Galle Road, Ratmalana. Sithuruwana Book Shop, 08, Ingiriya Road, Padukka. Victory Book Shop, 21, Yatiyantota Road, Avissawclla. Sanila Bookshop, 323, Kaduwela Road, Battaramulla. Nuwanesa Book Shop fir Printers, 56, Main Street, Battaramulla. Seewali Book Shop, A/39, Cross Road, Hanwclla. Sithumina Book Shop, No. 62, Main Street, Athurugiriya. Samudra Book Shop, No. 1141, Maradana Road, Borella. Welfare Society, UGC, No. 20, Ward Place, Colombo 07. Shanthi Book Depot, 50 Main Street, Gampaha. K.A. Ariyadasa fir Co., 32, Main Street, Vcyangoda. Sampath Palitha De Scram Book Shop,No. 60, Sampath Finance Building, Kandy Road, Kiribathgoda. Sarasavi Book Shop (Pvt. )Ltd., 87, Minuwangoda Road, Gampaha. Vijitha Yapa Book Shop, 135, Rajapaksha Broadway, Negombo. Rohana Book Shop fir Hardware Stores, New Kandy Road, Delgoda. Wishwa Book Depot fir Publishers, 231/2, Kirindiwela Road, Yakkala. Dileepa Book Shop, No. 07, Pasyala Road, Mirigama. Ganga Bookshop, 134, Kandy Road, Nittambuwa. Sarasavi Book Shop), No. 36, Main Street, Gampaha. Perno Sationeries, No. 92, Negombo Road, Ja-Ela. Sarasavi Book Shop, No. 37, Mirigama. Asiri Traders, No. 18, Kurunegala Road, Minuwangoda. Disna Book Shop, No. 650, Attanagalla Road, Nittambuwa. Wanmini Book Shop, No. 20/5, Pasyala Road, Mirigama. Orchid Enterprises, 109, Anguruwathota Road, Horana. Wijaya Book Shop, No. 20, Aluthgama Road, Matugama. Lak Isuru (Pvt.) Ltd., 324, Main Street, Panadura. New Nipuna Book Shop, 404, Thunman Handiya, Galle Road, Kalutara South. Wadduwa Book Shop, Galle Road, Wadduwa. Lumincx Grocers (Pvt) Ltd, 465, Galle Road, Panadura. Godage & Brothers, 507, Galle Road, Panadura. Malaka Traders (Pvt.) Ltd., 55/57, Main Street, Matale. Amarasinghe fir Sons, No. 7, Dambulla Road, Matale Junction, Galcwcla. Vijitha Yapa Book Shop, 05, Kotugodella Street, Kandy. Sarasavi Book Shop (Pvt. )Ltd., 86, D.S. Scnanayaka Street, Kandy. Harischandra Pothmcdura, No. 36, Cross Street, Kandy. Lanka Central Book Depot, 84, Colombo Street, Kandy. Samudra Book Shop, Peradeniya Road, Kandy. Seewali Book Shop, No. 16, Yatinuwara Veediya, Kandy. Wirnarshi Education Centre, University of Peradeniya, Peradeniya. KumaransTVade (Books) Centre, 19, Daily Fair Complex, Kandy Road, Nuwara Eliya. Nishan Book Shop, Ratmetiya Road, Rikillagaskada. Cheapside Book Shop, 40, Gampola Road, Nawalapitiya. Chamilani Communications, No. 01, Main Market, Hangurankctha. Samagi Book Shop, Hospital Road, Rikillagaskada. Vijitha Yapa Book Shop, No. 12, Wackwclla Road, Galle. G.H. Ariyadasa Book Shop, No. 73, Dangedara Street, Galle. Royal Book Depot, 152, Main Street, Ambalangoda. Vithana Book Shop, 04, Baddegama Road, Wanduramba. Lahiru Book Shop, Basara, 76, Havelock Road, Galle. Thusitha Book Shop, No. 60, Olcott Mawatha, Galle. Samanala ‘IYaders fir Book Shop, Colombo Road, Ncluwa. H.B. Eramanis Appuhamy fir Sons, 87, Dharmapala Mawatha, Matara. Wecrasinghe Book Shop, Matara Road, Kamburupitiya. Sarasavi Book Shop (Pvt. )Ltd., 74, Kumaratunga Mawatha, Matara. Vijitha Yapa Book Shop, 05 A – 1/1,Dharmapala Mawatha, Matara. Hameem Book Shop, No. 07, Borala Road, Weligama. New Pala Stores, No. 306, Old Galle Rd., Sappu Kade, Weligama. Lassana Book Shop, Dcniyaya Road, Morawaka. Shashuco Data Bureau fir Book Shop, 93, World Market, Akurcssa. Samudra Book Shop, 127, S.K. Cinema Building, ‘Rmgalle Road, Kotuwegoda, Matara. Abeywickrama Book Shop, Wccrakoon Watta, Urubokka. Muthumala Book Shop, 117, Main Street, ‘RTangalle. M.A.S. ‘IYaders, 24, Super Market, Walasmulla. Ruksevana Poth Medura, 92, Dickwella Road, Beliatta. Jayasekcra Publishers, 92, Beliatta Road.Tangalle. Pabasara Book Shop, 56, Kotabowa,Wccrakctiya. New Sumihiri ‘IYade Centre, No. 11, Main Street, Ambalantota. Poobalasingham Book Depot, 04, Hospital Road, Jaffna. Mack milan Book Shop, No. 3, Bus Stand, Jaffna. Thurka Stationers, Bus Stand View, Chunnakam. Annai Book Depot, No. 7 Z, Hospital Road, Jaffna. Ramachandiras, 20 A, Bus Stand Complex, Vavuniya. Surfa Communication Stationery fir Multi Traders, 160, Main Street, Kinniya -03. Rajah’s Book Centre, 111, Main Street, Batticaloa. Noori Book Shop, Main Street, Kaththankudy. Photo Rio, 120 A, Main Street, Kalmunai. Central Book Shop, Potuvil Road, Akkaraipattu. Weligama Stores, 04th Lane, Ampara. A 2 Z Book Centre, 154, Hospital Road, Nintavur 15. Samanthi Book Shop, 39, Marawila Road, Nattandiya. The Paper House, 12, Colombo Road, Puttalam. Mayura Book Shop, 8, Colombo Road, Chilaw. Samudra Book Shop, 10, Puttalam Road, Kurunegala. Karies Book Shop, 577, Mccgahakotuwa, Kuliyapitiya. Sarasavi Printers fir Publishers, 24, Dambulla Road, Kurunegala. Richard Trading Co. (Pvt.) Ltd., 64, Parakumba Street, Kurunegala. Sarasavi Marketing Enterprises, 135, Colombo Road, Kurunegala. Chathuranga Book Shop, No. 60, Kurunegala Road, Pannala. Mihira Book Shop, 41, Chilaw Road,Wariyapola. Samadhi Book Shop, 7-8, New Bus Stand Galgamuwa. Yasa Isuru Book Shop & Trade Center, No. 39, Kuliyapitiya Road, Narammala. Pavithra Pothhala, Main Street, Mahawa. Gunasekara & Co., 234, Maithripala Senanayake Mawatha, Anuradhapura. Buddhika Book Shop, 282, Main Street, Bank Place, Anuradhapura. Sanjeewa Pharmacy & Book Shop, No. 136, Main Street, Kekirawa. Muthukuda Paper Corner & Printers, New Town, Thambuththegama. Muthukuda Paper Corner, No. 34, Kekirawa Road, Eppawala. Deepani Book Depot, 70, Public Market, Hingurakgoda. 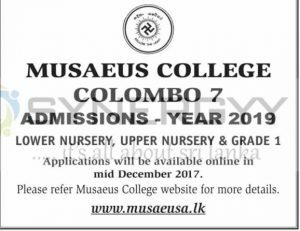 Puwasa Book Medura, Hospital Junction, Polonnaruwa. Paper Light Book Shop, Hospital Road, Medirigiriya. E.M.G. Karunaratne Book Shop, 58, Dharmawijaya Mw., Bandarawala. Mahindas Book Centre, No. 50, 52, Bazar Street, Badulla. Rishana Picture Palace, 394, Main Street.Passara. Siri Mangala Publishers, 16, Dharmawijaya Mawatha, Bandarawela. Myson Trade Centre, 26, Main Street, Monaragala. A.D.S. Agencies, No. 14, Main Street, Bibile. Tharidu Gift Centre, 65,Tissa Road.Wellawaya. Sumadura Book Shop, No. 22, Pothuwil Road, Monaragala. C.G.M. Poth Medura, No. 69, In front of the Bus Hall, Wellawaya. Sri Lanka Book Shop, 89, Court Junction, Kegalle. Dharmawardcne Book Shop, Bus Stand, No. 1, Down Floor, Anguruwclla, Ruwanwella. Lanka Book Shop, 122, Main Street, Warakapola. A .J. Communication fir Bookshop, 21 A, Courts Road, Mawanella. Karunaratna Brothers, 16, Church Road, Ratnapura. Sumanagiri Trade Centre, Main Street, Embilipitiya. Syrika Poth Medura, Bus Stand, Kuruwita. Pathmasiri Super City, No.54, Mathugarna Road, Manana,Kalawana. Kurulu Book Shop fir Communication, 79 /G, Main Street, Pelmadulla. Samanala Groceries fir Communication, 52, Idangoda, Kiriclla. Applications to recruit a new batch of students to universities would be called from April 20th, 2014; University Grants Commission(UCG) Said. Student who passed the G.C.E (A/L) in 2013 could submit their applications, and the time allocated for this process would be three weeks, UCG Chairperson Prof. Kshenika Hirimburegama announced. Applications and the booklets containing the particulars could be obtain from the UCG or leading book sellers island wide. University Leadership Training Programme; a training programmes offer to the University students who are going to enroll into Srilanka Government University after their confirmation of University Grant Commission admission. Please do not worry, if you are selected to this intake of Leadership programme and you did not receive a letter yet. Letter and the slip can be printed from here. Take those two printed letters with your NIC. Since Ministry of Higher Education already sent your details to the relevant centers you will be accepted with printed letter, slip and the NIC. Even if you are not in a position to get a printout from the system you can directly go to the Training Center which you are allocated (Take your NIC), , we have sent all the candidate details to each and every training center. To print the slip click on the print button in the slips you received after enters your NIC Number. The University Grants Commission of Sri Lanka is release the Cut-off Z-score Marks for G.C.E (A/L) 2012 result today. The University Grants Commission of Sri Lanka is supposed to release the Cut-off Z-score Marks for G.C.E (A/L) 2012 result today. The Authorities are discussing the possibility of introducing a piloting degree programme to the Srilankan Government (local) universities to allow youth the chance to tap into the global aviation sector which is expected to grow significantly in the next two decades. 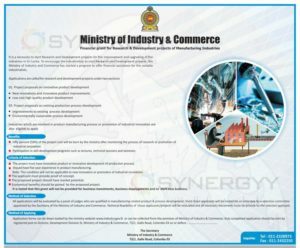 It is predicted that in 20 years a further 25,000 planes 480,000 technical experts and 350,000 pilots would be required by the global civil aviation industry, so Srilankan could able to tap the market on the demand of Aviation sector with the free education at Government Universities. The Piloting programme will costed to Rs. 1.5 Million per student, where the Srilanka education needed to allowcate sufficient funds in it. While it is a good opportunity to starts at lower level and grow in steps by step. The University Grants Commission released the 2012/2013 Z-Score cut off for the University selections , those who applied the First form for Sri Lanka University Academic Year of 2012/2013 could check the Cut Off Z-Score on www.ugc.ac.lk website of University Grants Commission. The University Grants Commission calls Nominations for awards for outstanding Postgraduate Research 2010 by Hiran Tillekeratne Research Fund. The research funds awarded to 6 prizes for outstanding Postgraduate Research works carried out during the period of 1st June 2009 to 31st May 2011. The awards consist of a cash price of Rs.150, 000.00 and certificate. the nominations should be sent on or Before 30th September 2011. And please note” Hiran Tillekeratne Research Fund Award” on the top left hand corner of the envelope.